Flowers are a treasure from nature. Their beauty is unrivaled and they are extremely useful to humans. They are used in all sorts of products including perfumes, oils, and medicines. Though most flowers are found in abundance there are some beautiful flowers out there which are extremely rare most because of them being endangered and near extinction. Here are some of the rarest flowers in the world. These flowers are native to the UK and some other countries in Europe. 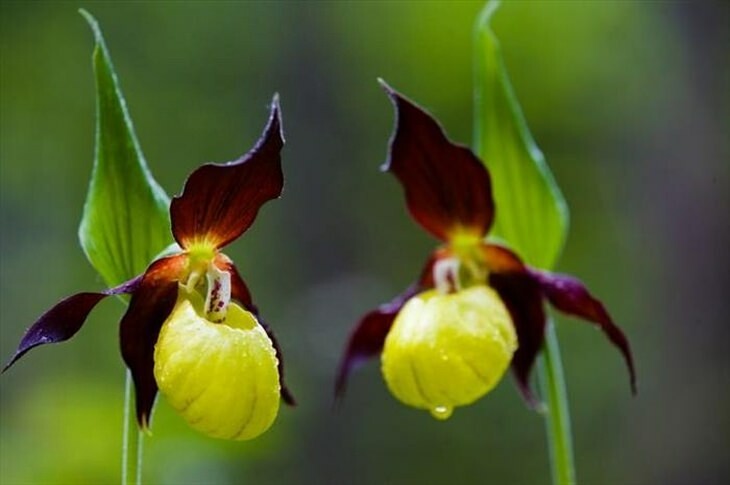 The single-colored yellow lady slipper flower can be found commonly around this region, there is a rare yellow and purple variant which is only thought to be found in a hidden spot on some golf course in Northern England. Its exact location is unknown and is thought to be under police protection. The Middlemist Red with its pink petals is thought to be one of the rarest flowers in existence whether it be in the wild or in a protected environment. One plant is found in New Zealand and other in a house in West London. The red in the name is a misnomer since the petals are actually pink in color. This flower is extremely rare and is only thought to exist deep in the rainforests of the Philippines apart from very few other locations. It has claw-shaped flowers with its petal varying in colour from blue to light green. It is a vine plant that can grow as high as 18m (or 60ft) where the flowers droop down, ready to be pollinated by bats. The coloured petals are especially beautiful at night where they radiate a luminous glow in the dark forest. This flower, also known as ‘Flower from Heaven’ and the ‘Queen of the Night’, is found mainly in Sri Lanka and is widely considered to be the most expensive flower in the world. This title comes from the fact that it dies as soon as it is picked so it can’t be sold and secondly it blooms at midnight only to wither away by dawn. Only very few people have the chance to experience the beauty of the flower in person. A flower which is considered to be extinct in the wild at the moment and is native to Mexico. The name of the plant comes from the odour it releases when it blooms which is the scent of chocolate. The only known Chocolate Cosmos flower is a clone that scientists created using the process of vegetative propagation. KokiaCookei is a flower of a small deciduous tree endemic to Hawaii. There has only been one reported occurrence of this flower in the last century which was sadly destroyed in a fire in 1978. Fortunately, a stem was removed before then and was grafted onto a related plant ensuring its survival. 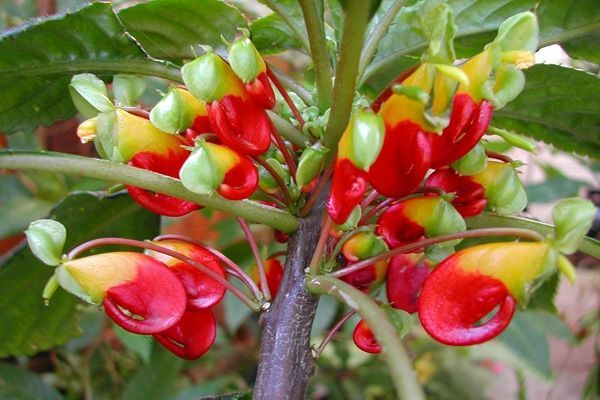 Today, there is thought to be over 20 of these grafted plants in existence.